In my previous post I introduced a text by the Spanish priest Beníto Jerónimo Feijoo. We saw Feijoo giving his picture of the history of philosophy by telling a story of two ladies, Solidína (experience) and Ideária (Imagination), who attempt to conquer the kingdom named Cosmósia (the world). Feijoo sides with Solidína (experience) and in the rest of the essay he gives an argument for the adoption and promotion of the experimental method and the rejection of speculation unaided by experience. … the little or no progress, which natural reason, unaided by experience, has made in the examination of the affairs of nature in the course of so many ages…What utility has the labours of so many men of excellent ingenuity, as have cultivated philosophy in the reasonable and speculative way, produced to the world? What art, either liberal or mechanical, of the many that are necessary for the service of man, or the good of the public, do we owe to speculative invention; and I might even say, what small advancement in any such art, has been derived from it? This admirable property [the pointing of the magnetic needle to the pole], which was totally unknown to the antients, was discovered in the thirteenth century, and immediately applied to the improvement of navigation. Upon its first discovery, the philosophers, according to their wonted custom of pretending to discern the causes of things, imputed this effect, as derived from an occult sympathy with the pole, contained in the very essence, form, and substance of the loadstone; and as this is supposed to be invariable, they concluded, that the direction must infallibly be invariable also. … astronomers and geographers thought they had found out a fixed station, whereat to commence the first meridian… But this idea soon vanished, for a little while afterwards, they discovered two other meridians, where there was no variation… Upon this, they thought they had found out a certain principle, whereon to ground a compleat system for calculating or computing variations, by graduating them for the intermediate stations, in proportion to their greater or less distance from the mean space between the two places where there was no variation. … they discovered, that this declination of the magnetic needle, varied more or less at the same place at different times, and that this change of variation was perpetual… In this instance, may be seen the fallibility of the most plausible reasonings unaccompanied by experiments. If the rules deduced from experimental observations are so fallible, that it is absolutely necessary in order to avoid all error, to pursue the thread of them so scrupulously, that reason should not venture to advance a step, without the light of an experiment appropriated to the business it is in search of; I say, if these rules are not to be relied on, what confidence can we place in those maxims, which derive their origin from our arbitrary ideas? Feijoo is being very cautious here; he admits that even rules deduced from experience might be falsified, so we need to constantly check them with experiments and observations. Feijoo clearly prefers the method of experience, but he is also aware that experience sometimes can lead us astray. 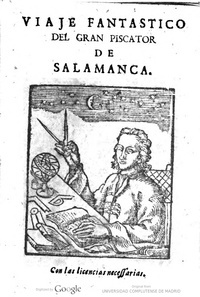 In the compass example shown above Feijoo tells us that our reasoning always needs to be aided by experimental observation. 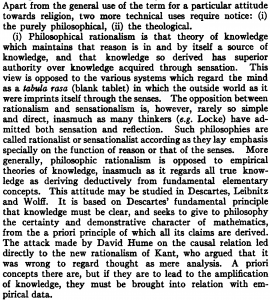 Further in the essay, as we will examine in a future post, he tells us that our senses alone are not enough for the acquisition of true knowledge, which can only be reached through reasoning and experience used together. Electricity: A Speculative Newtonian Experimental Science? In his book, Franklin and Newton, I. Bernard Cohen described Franklin’s work on electricity as an example of “Speculative Newtonian Experimental Science”. The central thesis of our project is that the most common and the most important distinction in early modern philosophy is that between Experimental and Speculative Philosophy. So ‘speculative experimental science’ sounds like a contradiction in terms. Today, I’ll consider whether this label is appropriate. Cohen describes electricity as a Newtonian science that only took off after Newton’s death. While Newton was fascinated with electrical phenomena, he, like his contemporaries, didn’t really understand it. However, his discussions of electricity, especially the queries of the Opticks, provided a useful starting point for Franklin’s electrical research. So we can see why Cohen wants to call Franklin’s electrical research a ‘Newtonian science’. Have not the small Particles of Bodies certain Powers, Virtues, or Forces, by which they act at a distance, not only upon the Rays of Light for reflecting, refracting, and inflecting them, but also upon one another for producing a great Part of the Phænomena of Nature? For we must learn from the Phænomena of Nature what Bodies attract one another, and what are the Laws and Properties of the Attraction, before we enquire the Cause by which the Attraction is perform’d. The Attractions of Gravity, Magnetism, and Electricity, reach to very sensible distances, and so have been observed by vulgar Eyes, and there may be others which reach to so small distances as hitherto escape Observation; and perhaps electrical Attraction may reach to such small distances, even without being excited by Friction. A few things could now be added concerning a certain very subtle spirit pervading gross bodies and lying hidden in them; by its force and actions, the particles of bodies attract one another at very small distances and cohere when they become contiguous; and electrical bodies act at greater distances, repelling as well as attracting neighbouring corpuscles… [However,] there is not a sufficient number of experiments to determine and demonstrate accurately the laws governing the actions of this spirit. From these passages, it’s easy to see why Cohen calls Newton’s electicity ‘speculative experimental science’: Newton’s discussions of electricity are speculative in tone, and yet they can be considered experimental, since they draw on experimental and observational evidence. However, there is a sense in which this label isn’t appropriate. I have previously argued that this kind of speculation has a role within Newton’s experimental philosophy. The epistemic caution displayed by Newton suggests that he is indeed following his methodology and that these discussions of electrical phenomena are taking place within his experimental philosophy. 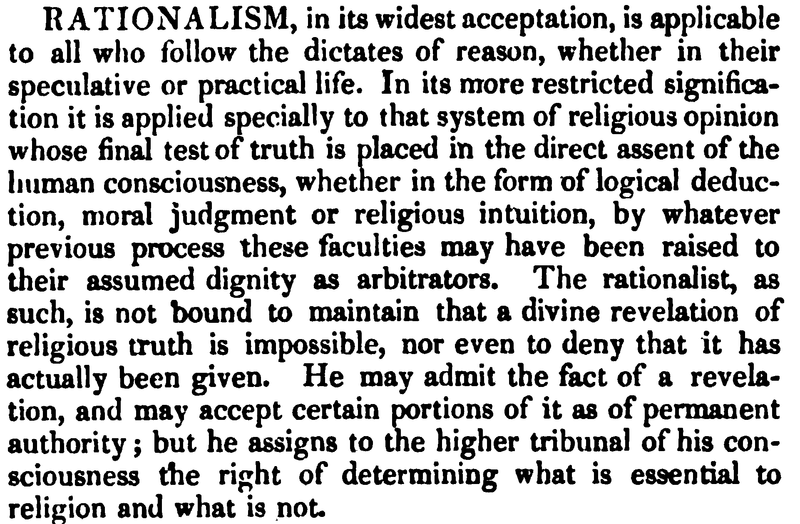 So Newton’s electrical work shouldn’t be taken as an example of ‘speculative philosophy’. Taken in this sense, the label ‘speculative experimental’ is indeed an oxymoron. One common objection against the experimental–speculative distinction (ESD) as an alternative historiographical framework for understanding early modern philosophy is the Straw Man Problem. Our interlocutors are prepared to admit the importance of the emergence of the experimental philosophy in Britain in the mid-seventeenth century and its subsequent uptake across the Continent. However, they object that, in spite of all the experimental philosophers’ rhetoric, there were few, if any, speculative philosophers. The speculative philosopher, in their view, is merely a straw man, a creation of the experimental philosophers who needed someone or something to define themselves against. The claim, then, is that there was not really any substantive experimental–speculative distinction because there were not really any speculative philosophers. In my view this objection is based upon a superficial understanding of the ESD. Moreover, I believe that providing an adequate response to the Straw Man Problem is a good way to highlight what is at the core of the ESD framework. 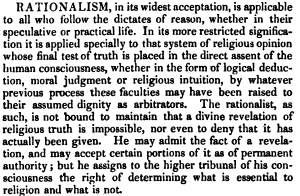 A weakness of the Straw Man objection is the presumption of parity: it is assumed that if we have an actual distinction then we have practitioners of, more or less, equal number on both sides of the distinction. 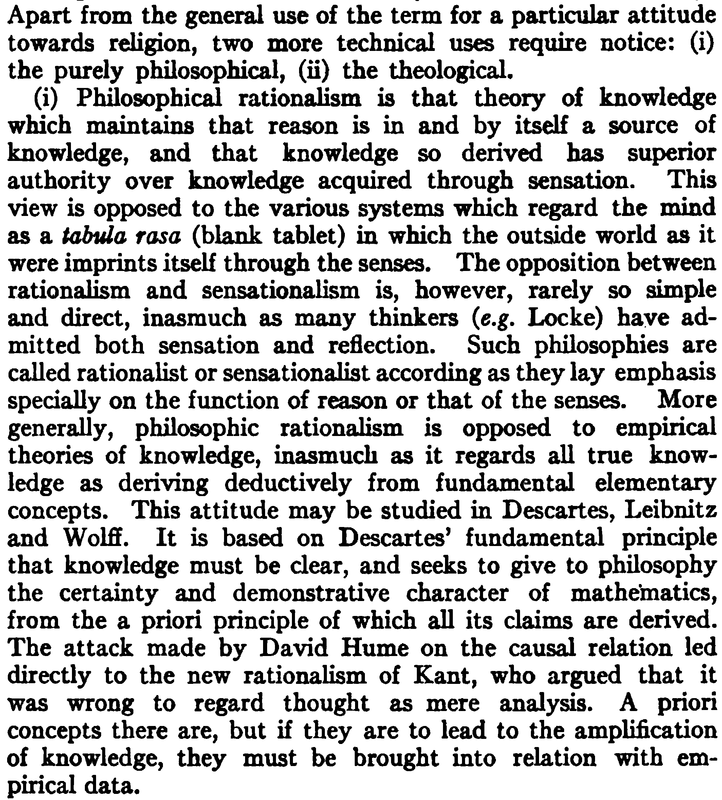 This presumption may derive from the Kantian rationalism–empiricism historiography with its two triumvirates of Descartes, Leibniz and Spinoza versus Locke, Berkeley and Hume. 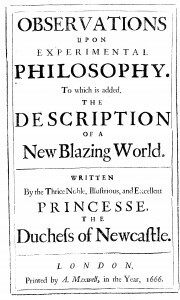 Be that as it may, it is certainly true that there were very few advocates of speculative philosophy after the 1660s. 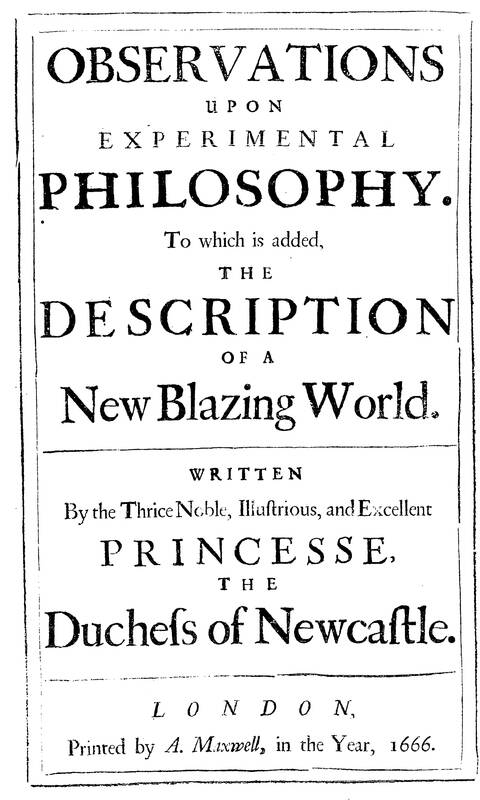 In Britain, Thomas Hobbes, Margaret Cavendish and John Sergeant were all opponents of the experimental philosophy and so might be classed as speculative philosophers, but it’s hard to name any others. Nevertheless, this lack of parity does nothing to undermine the ESD. For, what is important is that it is the method, content and characteristics of speculative philosophy that were the focus of experimental philosophers’ attacks and disdain and not, on the whole, the practitioners themselves. The ESD is, therefore, in the first instance a distinction that pertains to natural philosophical (and later philosophical) methodology and only secondarily to individuals. A nice analogue here is found in twentieth-century philosophy of mind. From the 1970s most philosophers were materialists or physicalists about the mind and it became hard to name any substance dualists. And yet physicalists about the mind defined their position, in large part, as being distinct from and opposed to dualism. Anyone who has done even the most cursory reading in the philosophy of mind knows that there is an historical explanation of this phenomenon. The Identity Theory emerged in the 1960s on the back of the attack on the ‘ghost in the machine’ by Gilbert Ryle and others. Early materialist theories of the mind were new and radical in so far as they defined themselves against dualism, even if within a few decades there were hardly any dualists to be found. A similar situation is to be found with the emergence and growth of early modern experimental philosophy. There had been a long tradition in philosophy of distinguishing between speculative and operative philosophy, between speculative and operative knowledge and even speculative and operative intellects. Natural philosophy had almost invariably been classified as a speculative science. The conceit of the Fellows of the early Royal Society (among others) was to claim not only that natural philosophy could also be an operative (that is, experimental) science, but that the operative method of natural philosophy is far superior to the old speculative approach. Thus, in order to explain the nature of the ESD, we shouldn’t look forward from the mid-seventeenth century for parity among practitioners from either side, rather we should look back to the origins of the distinction. In so doing it becomes clear that the speculative philosopher is no straw man.